(Cebu Pacific Air) - The Philippines' leading airline, Cebu Pacific Air (PSE:CEB) salutes graduating students and their families with a 75% off seat sale to select domestic and international destinations from March 13 to 17, 2014 or until seats last. This is for travel from April 1 to November 30, 2014. CEB VP for Marketing and Distribution Candice Iyog said, "What better gift for graduates than a chance to explore new destinations? We highly encourage guests to celebrate this milestone and maximize their travel savings, through this seat sale and our extensive network in Asia and the Middle East." The 75% off seat sale is available on flights to the following international destinations: Dubai, Tokyo (Narita), Nagoya, Osaka, Bangkok, Beijing, Brunei, Busan, Guangzhou, Hanoi, Ho Chi Minh, Hong Kong, Incheon (Seoul), Kota Kinabalu, Kuala Lumpur, Macau, Phuket, Singapore, Shanghai, Siem Reap (Cambodia), Taipei, and Xiamen. 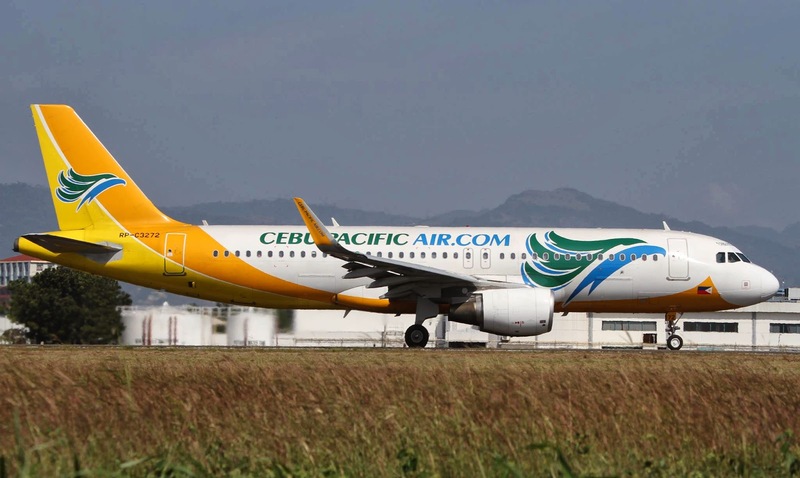 CEB is set to launch direct daily flights between Manila and Tokyo (Narita), as well as four times weekly flights between Manila and Nagoya on March 30, 2014. The travel period for the seat sale covers the peak Philippine summer months of April and May, as well as Andaman season in Phuket, and autumn in Japan, China and Korea. With the 75% off seat sale, CEB also continues to promote tourism to the Philippines. Aside from making inbound international seats available and affordable, it also slashes fares to select domestic destinations. For travel from April 1 to August 31, 2014, guests can book P399 tickets from Manila to Cebu or Bacolod or Iloilo, among others. P699 seats are also up for grabs from Manila to Coron, Boracay, Davao, Puerto Princesa and Bohol, among other domestic destinations on sale. CEB operates flights from six hubs in Manila, Cebu, Davao, Clark, Iloilo and Kalibo, making inter-island travel fast and affordable. CEB's 50-strong fleet is comprised of 10 Airbus A319, 29 Airbus A320, 3 Airbus A330 and 8 ATR-72 500 aircraft. It is one of the most modern aircraft fleets in the world. Between 2014 and 2021, Cebu Pacific will take delivery of 13 more brand-new Airbus A320, 30 Airbus A321neo, and 3 Airbus A330 aircraft.